In 2013, Bitcoin’s value soared. A few weeks ago, Bitcoin’s value fell dramatically: Just as the digital currency seemed to be taking the world by storm, disaster struck and the currency plummeted. Gone are the headlines reading “2013: Year of the Bitcoin,” “Bitcoin worth almost as much as gold,” and “Why Bitcoin is poised to break out to all-time highs.” Bitcoin’s value has dropped from an all-time high of around $1,200 (USD) to 1 Bitcoin, to around $700 to 1 Bitcoin. 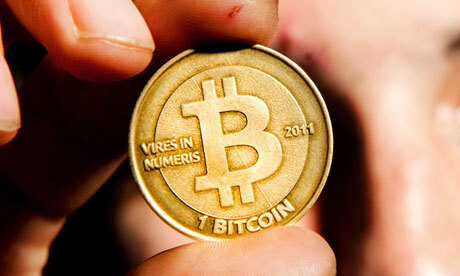 What can we possibly learn about branding from Bitcoin’s dramatic drop in value? When it comes to a currency or a brand, the name of the game is implied value. Currencies and brands rely on this intangible asset to operate effectively. Since abandoning the gold standard, the United States has relied upon a system of implied value for its currency. Take a look at that penny in your pocket. A recently minted penny is 97% zinc instead of copper because the implied value of the coin is lower than the actual value of the copper needed to make it. Similarly, the value of a brand is greater than the simple sum of its inputs. A brand is built on implied value assigned to it by its target audiences. For example, the Les Schwab brand in Oregon is strong because it makes us think of a strong connection to service, which adds value to the company. This implied value, whether as part of a currency or brand, is an asset with a tangible value we track on balance sheets. Both currencies and brands rise and fall as the implied value changes. The cause of Bitcoin’s fall was a little different from that of a traditional brand, but it follows the same essential process. Bitcoin’s implied value plummeted because of an external force: a primary exchange was hacked. Lawyers around the world will be fighting over the exact cause for years, but it was an external force that hit the currency like a hurricane. With a currency, we measure this drop in value a little differently, based on an exchange rate rather than a more abstract number for a brand. The exchange rate is essentially a measure of the currency’s implied value relative to the implied value of other currencies. In this respect, the value is easier to track than a traditional brand. This same thing can happen to a brand if the implied value of the brand is suddenly shaken by scandal or otherwise hurt by market forces. An automaker’s value will decrease after a recall as a reflection of the damage to the brand. In the case of Bitcoin, this is an important opportunity to see the impact of a structural problem on a product based entirely around an implied value, actively traded by some of the smartest financial minds in the world. Bitcoin shows what can happen when a product is quickly thrown from mountainous heights where there are virtually no marketing or communications tactics that can help stop the fall. Fix the problem. No rebuilding can happen unless the problem is actually fixed. For Bitcoin, this could be too little, too late if the underlying problem is so integral to the currency’s structure. Target and others are improving their systems to provide better security. Communicate often and with substance. Bitcoin is an idea more than a corporate structure, but it still has champions and experts. Communicating frequently, with information about how the problem is being addressed can put speculation to rest and reassure those impacted by the issue. Give reasons why your audience should trust your brand. Your audience is looking for a reason to trust you. Show you are worthy with a genuine appeal that shows integrity and concern. Give it time. Customers will start coming back with time and communication. Stop the bleeding, start the healing. Recognize that it will take time to rebuild and for the headlines to die down. External events require an internal reaction, and it often takes time to address the issues and move again to a proactive footing. Unlike most brands, this latest hack went to the fundamental basis of how a Bitcoin exchange operates and the currency may never be able to bounce back. We will likely not see a Bitcoin revival like Toyota’s first Lexus model or Johnson & Johnson’s Tylenol recall in the 1980’s. Regardless of any communication magic we can do in public relations, public perception requires the problem to be fixed. And with a decentralized online currency, where the creator is maintaining anonymity and the perceived value is paramount, this revival is likely never to happen. Leveraging Pinterest As A Marketing Agent: What Good Will “Pinning” Do Your Business?